Harry Potter and the Prisoner of Azkaban Harry, Ron and Hermione return to Hogwarts for another magic-filled year. Harry comes face to face with danger yet again, this time in the form of escaped convict, Sirius Black – and turns to sympathetic Professor Lupin for help. Harry Potter and the Deathly Hallows: Part 2 Harry, Ron, and Hermione search for Voldemort's remaining Horcruxes in their effort to destroy the Dark Lord as the final battle rages on at Hogwarts. Harry Potter and the Order of the Phoenix With their warning about Lord Voldemort's return scoffed at, Harry and Dumbledore are targeted by the Wizard authorities as an authoritarian bureaucrat slowly seizes power at Hogwarts. Harry Potter and the Half-Blood Prince As Harry Potter begins his sixth year at Hogwarts, he discovers an old book marked as "the property of the Half-Blood Prince" and begins to learn more about Lord Voldemort's dark past. 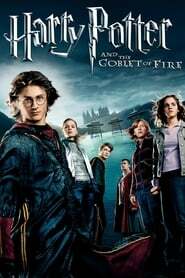 Harry Potter and the Goblet of Fire A young wizard finds himself competing in a hazardous tournament between rival schools of magic, but he is distracted by recurring nightmares. 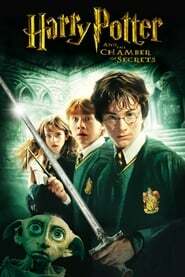 Harry Potter and the Chamber of Secrets Harry ignores warnings not to return to Hogwarts, only to find the school plagued by a series of mysterious attacks and a strange voice haunting him. 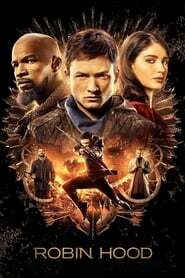 Harry Potter and the Philosopher’s Stone Rescued from the outrageous neglect of his aunt and uncle, a young boy with a great destiny proves his worth while attending Hogwarts School of Witchcraft and Wizardry.